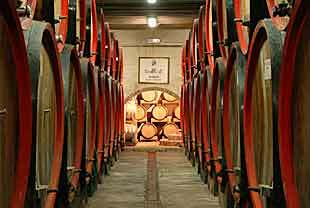 Italian wineries are open to the public on fourth weekend in May; this year it will take place on May 30th, 2010. This is one of the most important wine events in Italy in the spring. The aim of Open Italian Wineries in Veneto, seventeenth edition, is not only to promote its wines, but also to bring nearer people interested in knowledge of wines from Veneto and to made a wine education. Then some cooks will couple the best wines from Veneto with fine local dishes during this event. During Italian open wineries the visitors will be able to taste wines from Veneto and from province of Treviso and they will be entertained by guided tours to wineries and to vineyards besides by shows and musics. The wines from Veneto, playing a leading role in then event, will be Prosecco doc, Refosco IGT and the Piave wines as Raboso, Cabernet Sauvignon doc, Merlot, Pinot Gris and Chardonnay IGT besides grappas and distillates. 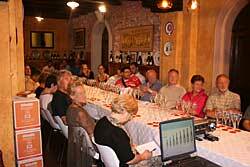 The prestige of this wine event in Veneto is such that to attract more and more wine tourists. 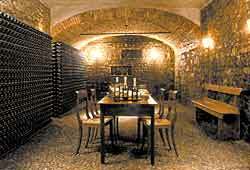 The wineries open to the public will be more 800 in whole Italy and the people taking part will be more a million. Open Italian wineries is just one exhibition among many wine events; thus open Italian wineries in Veneto will be added to other wine events as Primavera del Prosecco which promotes wines of Treviso province during the fifteen stages in several places of hills from Treviso. Then there is Wine in Villa, another wine events at Castello di San Salvatore in Susegana - Italy on the third weekend of May; here there will be the most important wineries in Veneto growing wines as Prosecco doc, Cartizze and raisin wines Refrontolo and Torchiato. There will be Canevando in June 27th, 2010 which is a guided tour in wineries in Valdobbiadene and outskirts where you will be able to taste the local wines. Description: Luigino Zago Winery grows Piave wines and Prosecco doc Treviso. Description: The winery F.lli Corvezzo grows very fine local wines as Raboso del Piave, Manzoni Rosso and Bianco, sparkling Prosecco, Refosco dal Pedulcolo Rosso, Pinot Grigio and Chardonnay. There will be guided tours to winery and to photovoltaic system, wine tastings; you will be able to see the vineyard by a carriage and pair during the Open Wineries 2010. Description: Bisol Winery is placed in the centre of Alta Marca; here Mr. Bisol grows and made his wines. Vineyards extends for more 125 hectares located in 35 farms. 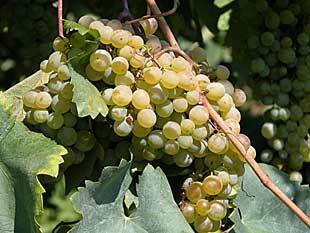 Three hectares are situated in the area where Cartizze is cultivated. The visitors will be able to tour the winery and to taste its wines during the Open Wineries 2010. Description: You will be able to taste the whole wine production by Carpenè Malvolti free of charge during the wine event Open Italian Wineries 2010. 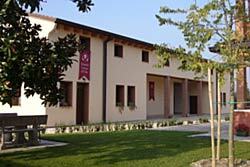 There will be guided tours to winery at every half an hour, wine tastings at 11.00 a.m., 3.00 p.m. and 5.00 p.m., a course of painting, food tastings cooked by Domenico Longo from the reasturant Casa Coste in Susegana (TV) during the wine event Open Italian Wineries 2010. Description: Rechsteiner winery with the Villa Bonamico, the most important building, gives a charming setting to its guests; the wine growing includes the best wines of Piave area. The jewel of wine production is Domenicale Rosso. Guided Tours to our winery, to park and to vineyard besides painting exhibitions and wine tastings will take place during the wine event Open Italian Wineries 2010. Description: Cecchetto Giorgio Winery grows above all Raboso Piave wine. Art and solidarity will be the main protagonists during the Open Wineries 2010. Then there will be the Family Arts produce by Carpenè Malvolti, Castegner Acquaviti, Latteria di Soligo, Lazzaris Mostarde, Masottina Salumi De Stefani e Cecchetto, which are the sponsors of the art exhibition "Cima da Conegliano - Poeta del Paesaggio". You will be able to taste the Raboso Piave, made from Associazione Italiana Persone Down. 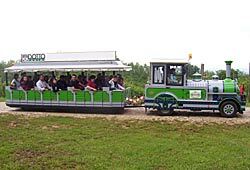 Description: This year a small train will carry children and adults to the discovery of Montello too: wine tastings will be made. The students of art school will show their works. Time: from 10:00 a.m. to 6:00 p.m. on May 30rd, 2010. 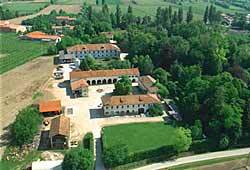 Montelvini winery is placed in Venegazzù, an area where the best wines doc are growed. Prosecco Doc, Asolo, Cabernet Doc and Pinot Gris Doc are the great value wines of our winery. Description: Perlage winery organizes a naturalistic walk, a bio market with local produce, Bio winery and a lecture with Carlo Petrini, president of Slow Food International and Emanuelle Schick Garcia. Time: from 9:00 a.m. to 7:30 p.m. on May 30rd, 2010. Perlage winery is the one old wine cellar producing Docg Conegliano-Valdobbiadene Prosecco, organic and biodynamic wines without sulphites besides red and white wines.